This is a set of two Pro-Line Interco TSL SX Super Swamper 2.2 G8 Crawler Tires, in G8 Compound. 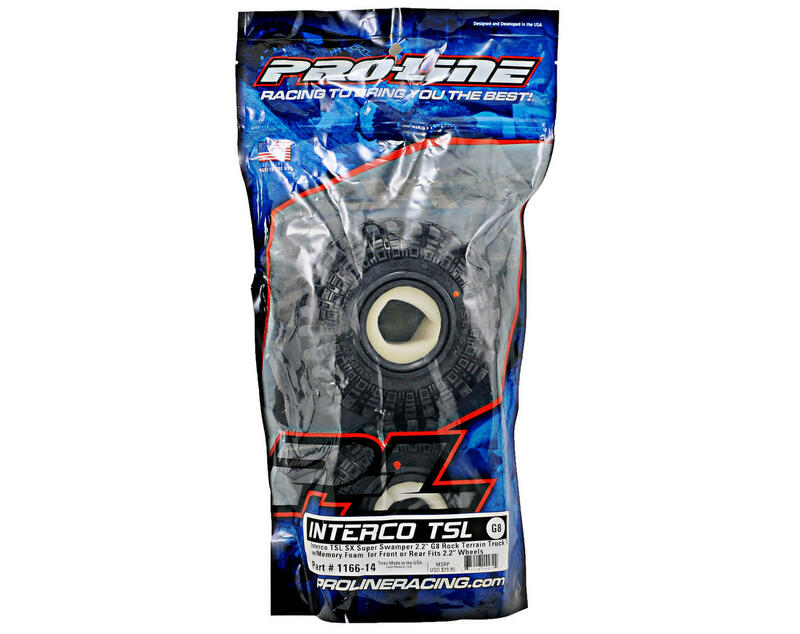 Under official license from Interco Tire Corporation, Pro-Line is proud to announce the 2.2" TSL SX Super Swamper in the legendary G8 compound. With almost scale not being acceptable and access to Interco's design data, Pro-Line’s engineering staff have been able to reproduce the Super Swamper in a scale configuration matched by none. I purchased these tires at my local hobby shop and they are the best tires I have ever used. 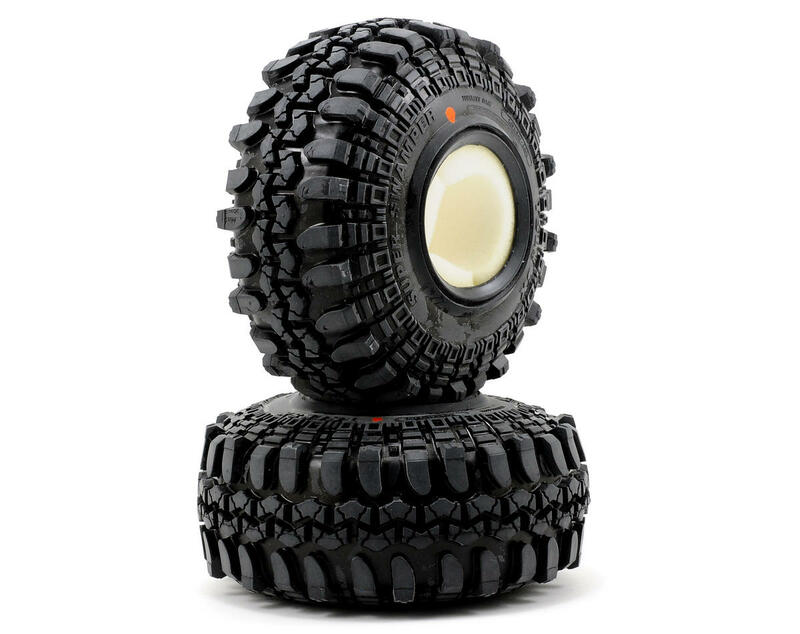 I am an avid rock crawler and I totally recommend these tires.